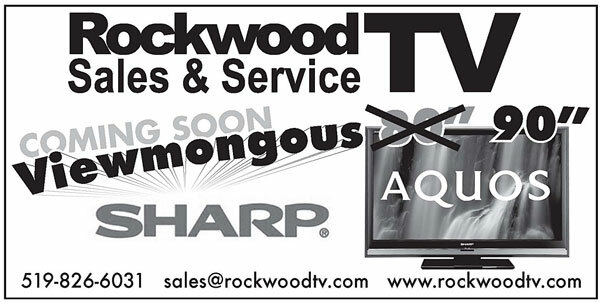 At Rockwood TV we can professionaly install your new plazma, LCD or HD projection TV, either on the wall, ceiling or on a stand. 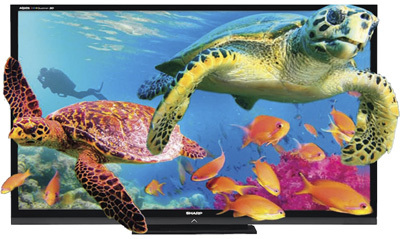 We only use the best components to give you the very best picture and sound quality that your new flat panel can deliver. With our wall mount installation we can make it look like a work of art! Wires can be installed in the wall where they belong. Let our highly trained technicians come work some magic at your home, after all you will be enjoying your new flat panel for years to come. We can custom design a home theatre experience for almost any budget. We take care of everything from design to installation and training you on your new system. All you need to do is get the popcorn ready and prepare yourself for a true theatre experience. 70" SHARP QUATTRON now in our Showroom! COLOURS LIKE YOU'VE NEVER SEEN BEFORE! CALL FOR YOUR IN HOME CONSULTATION!